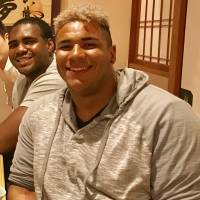 Japan treated Christian Covington as well as he could have hoped. 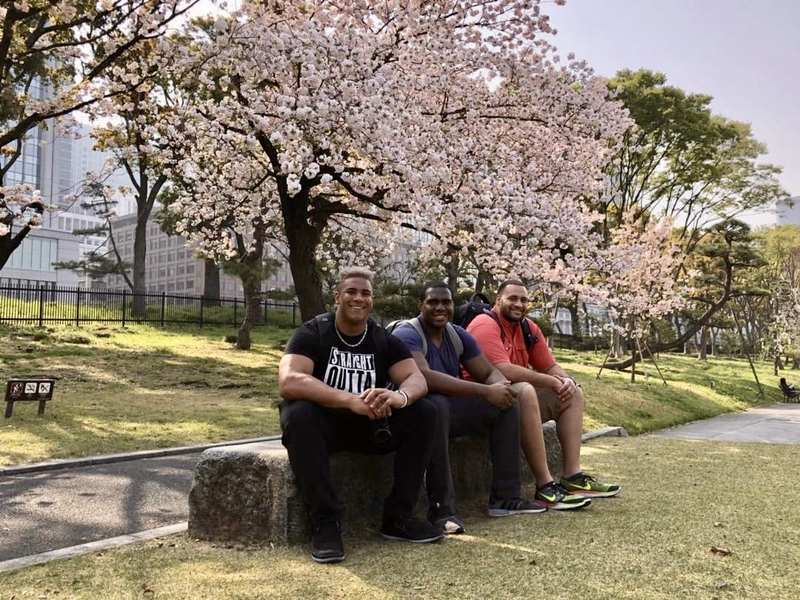 The Houston Texans defensive lineman took a private trip here along with a few friends, including former Rice University teammates, earlier this month. All of them agreed they had a blast during their stay in Tokyo, Osaka and Kyoto. 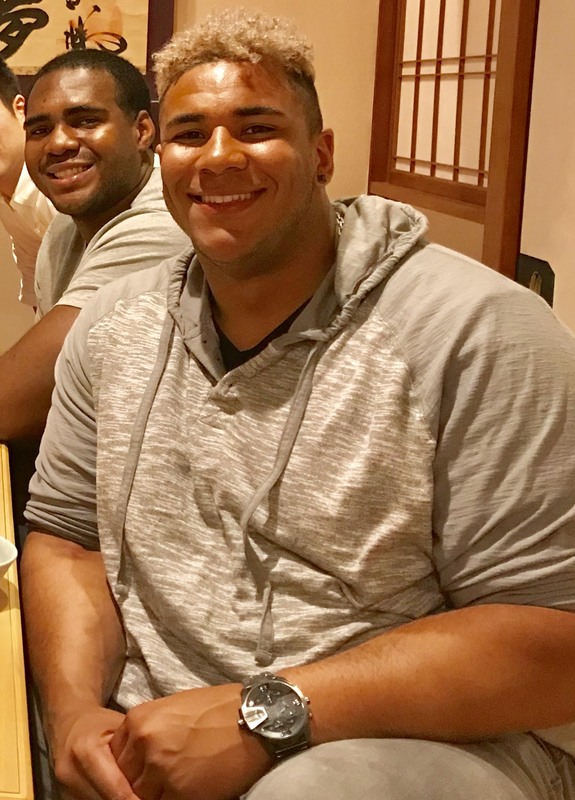 One night before they traveled back to the United States, they shared one last Japanese meal, chanko-nabe (one-pot dish), commonly eaten by sumo wrestlers, near the Ryogoku Kokugikan sumo venue in Tokyo. 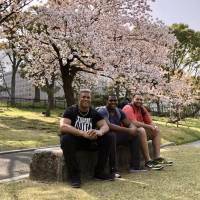 Speaking to The Japan Times, Covington said coming to Japan had been “a dream of ours” since he and his friends met during their freshman football season at Rice. During their trip, the 24-year-old and his friends had many unforgettable experiences, visiting some of the historical attractions in the three cities. In Tokyo, they were awed by the size of Nakamise-dori, a long, store-lined street from the Kaminarimon gate all the way to Sensoji Temple in the Asakusa district. In Osaka, they had their breath taken away by Osaka Castle, which solemnly and majestically sits in the middle of the western capital of Japan. They were also able to “catch the tail end” of the cherry blossoms, which came a little earlier this year because of warmer temperatures. But what wound up being Covington’s favorite of the three cities was Kyoto. He said he was thrilled to see some of its historic and one-of-a-kind sites, such as the Thousand Gates at the Fushimi Inari Shrine and the Bamboo Forest Street. Actually, Covington already has a genetic connection to Asia and Japan. He said that he had recently taken a DNA test and found out he is partially Japanese. Covington, who is preparing for his fourth NFL season, cherished the opportunity to get away from the stress he is under in the extremely competitive NFL. But of course, once he gets back on the field, Covington will try to make something big happen for the Texans over the upcoming season. Covington said that he is “loving” the Texans’ chances for the 2018 campaign. He’s hopeful the team can rebound from an injury-plagued 2017 season during which both starting quarterback DeShaun Watson and star defensive end J.J. Watt suffered season-ending injuries. “I know a lot of us are hungry, really all of us are hungry,” said Covington, who has made seven starts and racked up four sacks in his pro career. Covington called the Texans “a special team” for which “the sky is the limit.” He suggested that Houston is a Super Bowl-caliber club. “I know every single person on this roster is going to try to fight for it,” he said.